Atlas is available in Stereo or Mono version as well as Standard and Signature Editions. ATLAS amplifiers are capable of driving virtually any high quality speaker. An innovative hybrid design incorporates a bipolar output stage, bipolar driver stage, and vacuum tube input gain stage. They stand alone as the only hybrid amplifiers with zero feedback, essential for maintaining harmonic integrity, air, space and coherence. The Atlas provides your choice of full range or high-pass inputs. This unique built-in filter is ideal for speakers featuring powered woofers, such as Vandersteen, or for audio and home cinema systems using outboard powered sub-woofers. Saturn Series design themes are evidenced in the specialized all-aluminum chassis construction and elaborate power supply design. Zero feedback, fully differential amplifier with complementary balanced bridge design for open sound. Tube gain stage using one 6SN7 tube per channel provides harmonic accuracy and soundstage layering. This single gain stage provides all of the voltage gain for the entire amplifier. Mono amplifier: 300 watts per channel into 8 ohms; 600 watts per channel into 4 ohms. Amplifier has a built-in high-pass crossover: 6 dB / octave, 16 settings from 40 Hz to 200 Hz in approximate 10 Hz increments. Single-ended and balanced inputs provide extended compatibility. Direct input bypasses all crossovers and switching for ultimate purity. Bus technology reduces power supply impedance between output devices for more instantaneous current. Power supply uses two transformers and three chokes. The high current section uses a dedicated transformer and choke input power supply. The vacuum tube B+ power supply has choke input and is discretely regulated. The result is unequalled clarity and control. Cardas patented rhodium-plated binding post with single knob lockdown. All aluminum chassis construction assures durability. Stainless steel cover for transformers prevents magnetic fields from interacting with sensitive audio circuitry, preserving low level musical nuances. RS232 control and trigger for special installation requirements. 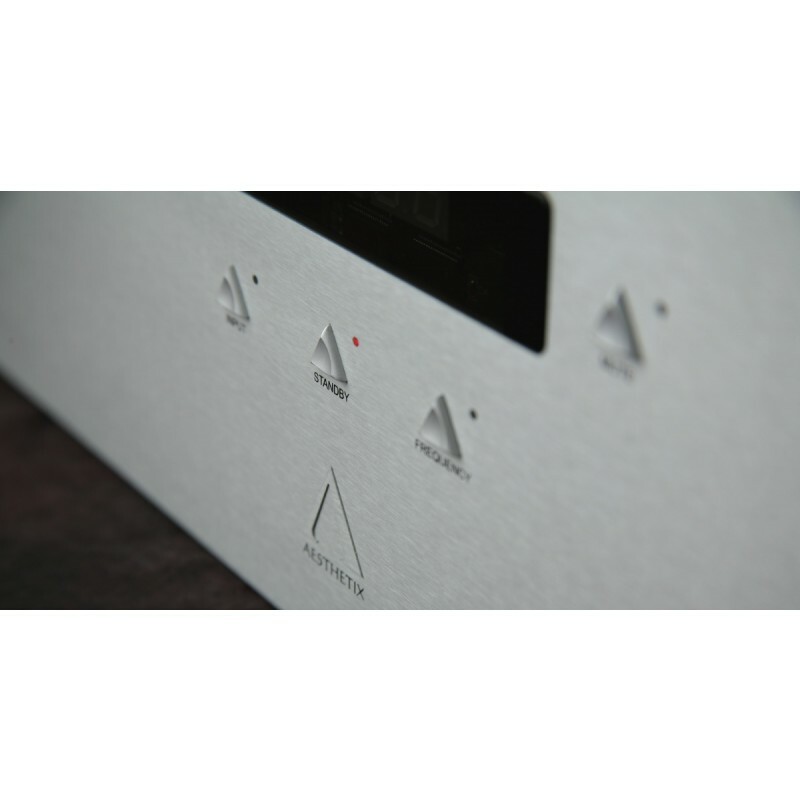 Altas is available in three versions: Stereo, Stereo Signature and Mono (Signature). Atlas Mono is only available in the Signature version. Atlas Stereo can be factory upgraded to the Signature version.